So do we still want to vote on this? HAHA, personally, I really think Pen''s turned out great, and that was by accident. I can see them doing security work very easily, and If we have sponsorship by GTG, shields and Helmets won't be a problem. PenDragon's is great, but the DS Gunner would be the problem for most. I haven't even seen this figure in stores yet. So I would only ask how easy would it be to get 15 or so DS Gunners? It's not just football, it's Notre Dame football! Oh, and FoxtrotDelta (over on FFURG) brought up an interesting point (perhaps by accident). 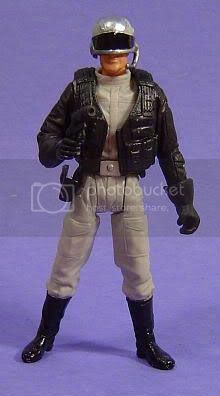 If you do go with the GTG/DSG guys I mocked up, then Fritz's silver-helmed dude would look great as their squad leader/captian! I stand corrected. Great find. The base figure and the helmets look great, just not the head. I think if there were to be different heads on them it'd be fine. As is though they don't get my vote. I totally agree. I didn't mean to suggest that they were clones. Just that the over-all-look was kinda neat. I'd hate to see Jango clones here, but the face would be easy enough to change out. apparantly great minds think alike. I was going to suggest this very same thing with Fritzes as the commander. You are right about not having clone heads, but seeing as this was just a mock up anyway this shouldn't be a problem. A simple head swap and that sweet little badge thats on Fritzes and well be in business. That pic is sweet Pen. The ones that have their helmets on, you won't be able to tell they are clones, the only ones we will have to change are the ones that don't have their helms on. Don't make me destroy you. 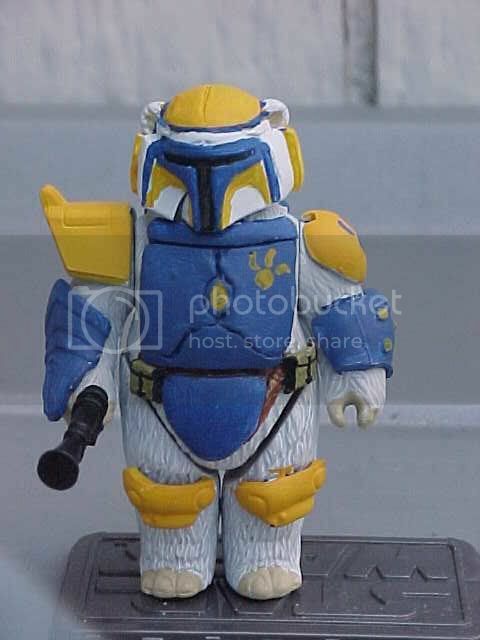 This version does not have the clone Head. I think a mix of the GTG version and the Saw Viper versions would make a very cool looking Security force and give them a little diversity.